Contemporary Women's Health, PC (Englewood) - Book Appointment Online! The most advanced gynecologic surgical practice in the region. 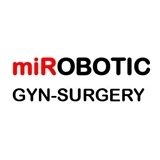 At the Institute for minimally invasive and robotic surgery we offer the most advanced medical/surgical solutions to the most complex as well as the most common gynecological problems affecting women of all ages. As a leader in minimally invasive and robotic gynecologic surgery in Bergen County, Dr. Asulin routinely performs complex robotic procedures such as Da Vinci robotic assisted hysterectomy, myomectomy, sacrocolpopexy as well as pelvic floor reconstruction and urinary incontinence surgery. As one of the leading experts treating advanced endometriosis, Dr. Asulin utilizes da Vinci robotic surgical system to successfully treat advanced stage of endometriosis in a minimally invasive fertility sparing procedures. APN was great and dr. Asulin was awesome. Super thorough and has an amazing personality. Great bedside manner and sense of humor!